Are you ready to get curious about this ancient plant? Curious about cannabis? Trying a psychoactive herb for the first time can be a little daunting. To help you have the best experience possible, here are 10 must-know facts for cannabis beginners. Keep in mind that everyone processes cannabis differently. It’s important to pay close attention to your body and be patient to really find out if this one-of-a-kind herb is right for you. Cannabis and humans go way back. In fact, researchers speculate that the herb was one of the first cultivated plants, emerging at the dawn of the agricultural era over 10,000 years ago. In the millennia since, cannabis was used for food, medicine, fiber, and as a spiritual tool by several ancient civilizations: Egyptians, Assyrians, Greeks, Romans, Chinese, Indian, and Islamic cultures. Today, many cultures around the world still utilize cannabis in daily life. However, Western societies lost touch with the herb in the mid-1930s, when 'reefer madness' propaganda urged people to be fearful of cannabis and other mind-altering substances. In time, doctors were barred from prescribing the herb and the cannabis plant was pushed underground for the next 80 years. It’s only over the past decade that the long-lost relationship between humans and cannabis has been slowly rekindled in mainstream society. THC or CBD? Most experts say both. 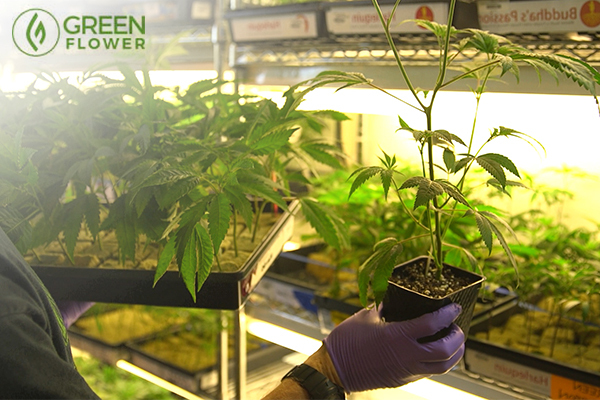 The cannabis plant is capable of producing at least 113 different chemical compounds called cannabinoids. Only one, however, produces a strong psychoactive “high.” That compound is tetrahydrocannabinol (THC). When you consume THC, you may experience temporary distortions or enhancements of these things. THC is a psychoactive substance. That means it changes your cognition and the way that you perceive the world. However, this is nothing to fear. Many people are concerned that cannabis will make them feel out of control or unlike themselves. Yet, many experienced consumers will be quick to tell you that the herb actually helps them come into their own bodies and live more fully in the present moment. For this reason, there is an almost spiritual aura that surrounds the plant as a healing tool. When trying psychoactive cannabis the first time, it is important to be in a comfortable and supportive environment. Feeling fearful, nervous, or uncomfortable prior to engaging in cannabis makes you significantly more likely to have a bad time. It may take a few tries before you even notice anything. And once you get the hang of the herb, many of these effects become less noticeable unless you consume too high of a dose. Except for allergy, that is. If you’re allergic, you’re allergic. With cannabis, you have options. Don’t want to have a psychoactive experience? No problem! Not all cannabis has psychotropic effects. In fact, some types of cannabis provide no noticeable mind-altering effects and yet still pack a ton of medicinal properties. If you’re hoping to avoid the mind-bending nature of THC, opting for cannabis varieties with high levels of cannabidiol (CBD) and low levels of THC is your best bet (or you can take very small doses of THC-rich cannabis and still avoid or minimize psychoactivity). CBD does not produce a psychotropic high. Instead, it provides sensations of calmness, ease, uplift, and perhaps even a little energy. 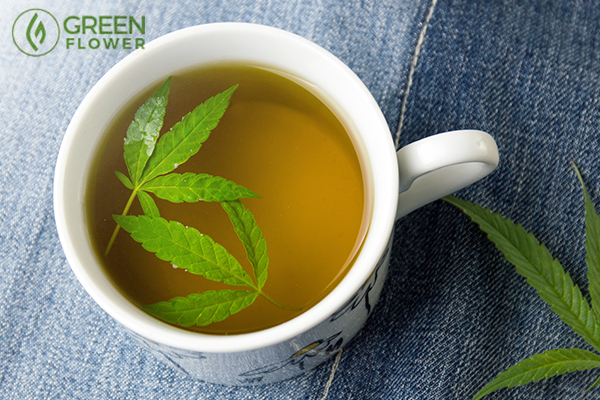 While THC sits in a category on its own, high-CBD strains tend to provide an experience more akin to drinking a stimulating cup of ginkgo biloba tea. Believe it or not, smoking is only one of the many ways to consume cannabis. This means that yes, it is entirely possible to consume the herb without damaging your lungs. Most people don't realize cannabis mimics compounds our body already produces naturally. All sorts of plants produce chemical compounds that are similar to those that the human body creates naturally. Flax and soy are two excellent examples. These two plants both contain compounds classified as phytoestrogens. Phytoestrogens are plant molecules that can activate estrogen receptors in the human body. Cannabis is similar in that it contains phytocannabinoids.These phytocannabinoids can either replace or modulate the body’s natural endocannabinoids (phyto- mean plant and endo- means internal). Endocannabinoids are neurotransmitters that have a wide variety of functions in the body. In a way, they are like the body’s own THC. This is why the herb is considered beneficial for so many different health conditions. Want to optimize your health with cannabis? Neuroscientist Dr. Michele Ross shows you how to restore and maintain balance with cannabis medicine. The more technically correct term for “strain” is “chemovar,” though this scientific term is not used in popular culture. In theory, each individual strain has its own unique aroma and personality. Vaporizing a strain like “Blue Dream” will provide a different experience from vaporizing a “Cannatonic” variety. What makes strains different from one another is their unique combination of cannabinoids and their expression of different aroma molecules called terpenes. Terpenes are molecules that give plants their aromas. It’s thought that the synergy between cannabinoids like THC and CBD as well as the various terpenes found in a strain that gives a particular plant its specific effects. This is an example of what cannabis flower looks like after it's been dried and trimmed. While every single part of the cannabis plant can be used (even the roots), it’s the ripe bud of the female cannabis flower that is most used. 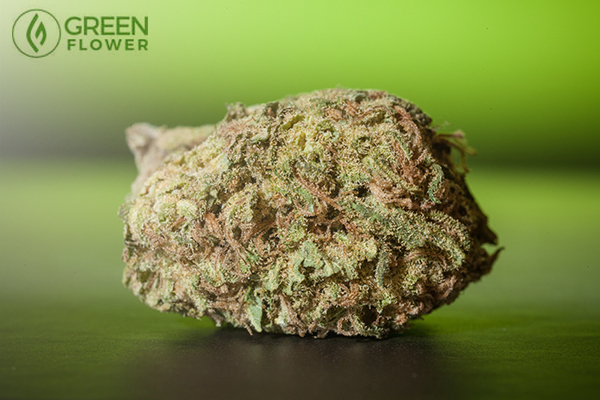 This part of the flower contains the most cannabinoids, which are considered the most therapeutic part of the plant. Dried cannabis buds found at dispensaries, coffee shops, and other access points are portions of the harvested female flower. These flowers can also be used to make highly concentrated extracts and oils. 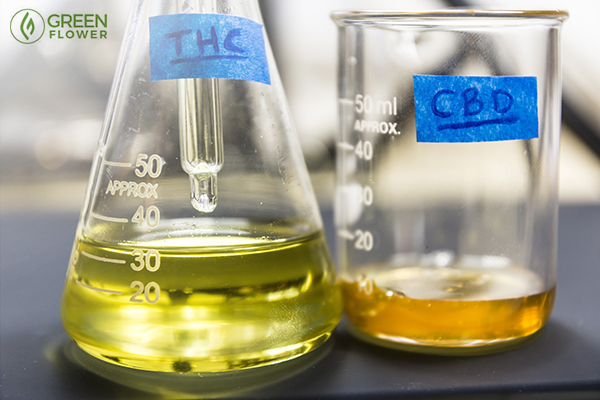 These extracts and oils are the most potent forms of cannabis available today. If you’re hoping to try an edible as a cannabis newbie, there are a few things you should know. Edibles are processed by the body differently than inhaled cannabis. When you inhale cannabis, the active compounds in the herb are absorbed by the lungs and enter the bloodstream where they quickly make their way to the brain. When inhaled, the psychoactive effects of cannabis can be felt within minutes. The overall experience will last about two to three hours, maybe a little longer. Cannabis-infused foods and drinks, however, must first be processed by the liver before you feel the psychoactive effects. Once THC makes it into the liver, a couple of different things can happen. First, the liver can be so good at removing compounds like THC that you do not experience much of an effect at all. This phenomenon is called "first-pass metabolism" and it can occur with a wide variety of medicines. This first-pass effect can greatly reduce the bioavailability of edible cannabis. Much of the potency is lost through the process of absorption through the gut wall as well as the initial round of liver metabolism. Eating regular food prior to taking an edible may help reduce this process. Though, eating too big of a meal will likely slow down the activation time of the edible. Second, when the liver does metabolize THC, it actually converts it into a much more psychoactive metabolite (breakdown product) called 11-Hydroxy-THC. This compound will produce a much stronger experience than inhaled cannabis, which means that paying close attention to dosage is crucial. Edibles can take anywhere from 30 minutes to two hours before the initial onset of effects. If you’re just starting with cannabis, it’s important not to grow impatient and eat more edibles during the first two-hour window. You may even want to wait until the next day or a later date before trying a larger dose. If you eat too many, you’ll likely have a miserable time. The effects of edibles can last as long as six hours or more. It is recommended to start very small and avoid products that are not properly tested and labeled. 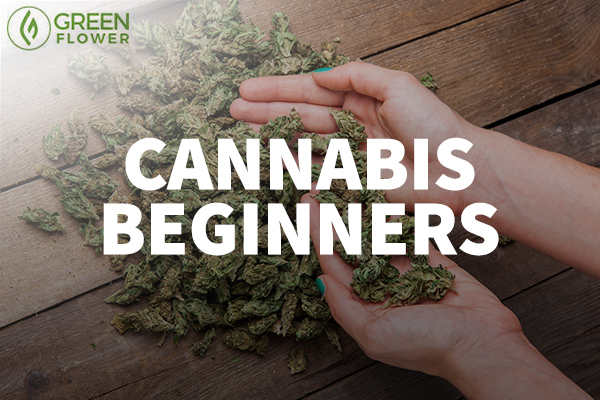 Going too strong could turn a beginner away from cannabis completely. The golden rule for cannabis beginners: start low and go slow. 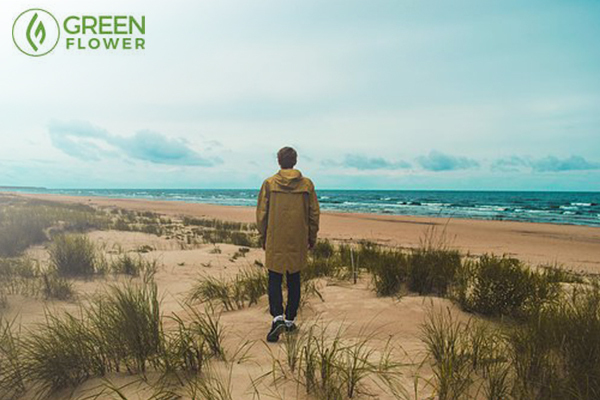 Opt for low potency cannabis while you test the waters. Once you become familiar with the experience and develop a tolerance to the herb, you can work your way up or down as needed. If inhaling, it is best to limit yourself to just a puff or two for the first half an hour. When inhaling, draw a slow and deep breath into the lungs. The longer the breath, the less likely you will need to take a second inhalation. Exhale slowly, though there is no need to hold the cannabis vapor or smoke in the lungs. For edibles, oral oils, and tinctures start with the lowest possible dose and then wait several hours before taking another. If you accidentally eat too much, it's best to find a quiet place to get comfortable, relax, and wait off the experience. Are you interested in credible cannabis education?